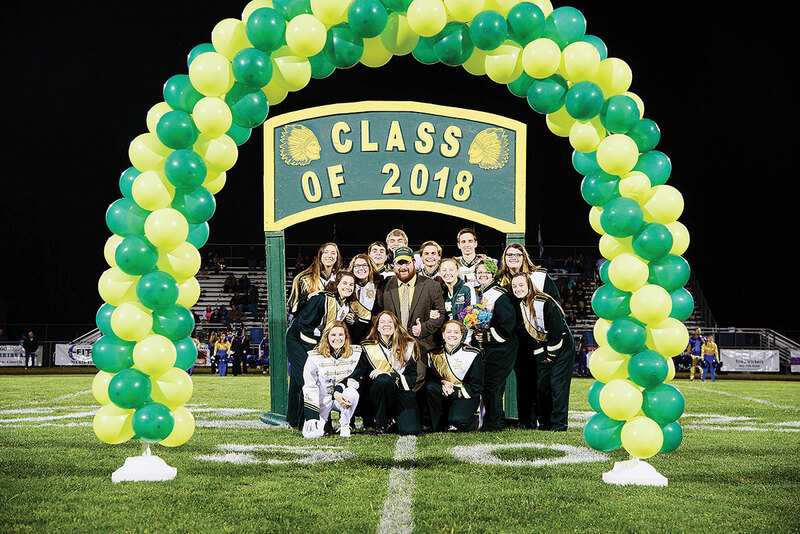 This year’s seniors were Mohler’s first freshman class and, years ago, his first fifth-graders. Nathan Mohler says the band was great when he came to Indian River High School. In the past four years, he has built upon that strong foundation, now being named IRHS Teacher of the Year for 2018-2019. He considers himself a director and guide. “I’m teaching music, that’s true. But the elementary teachers have done such a great job teaching them to play that I’m directing,” he said. Also, with so many styles of music in the world, Mohler said it’s his job is to help students find something special. “I’m just trying to help them focus. … If they enjoy that one thing, they’re going to gravitate toward it,” said Mohler. So what is Mohler’s favorite genre? It depends on the day and the season. He loves concert band music specifically written for the band. Yes, it’s fun to play arrangements of rock music in the football stands, he said, but a good piece of concert music will highlight instruments to their full potential. Mohler joined the school district in 2010 as elementary school band teacher at the three non-magnet feeder schools to IRHS (excluding arts magnet school Southern Delaware School of the Arts). Through a trick of the calendar, this year’s band is an amalgam of Mohler’s teaching milestones. The seniors were his first freshmen when he first came to IRHS midway through the 2014-2015 school year. They were also his first fifth-graders in 2010-2011, when he first came to the Indian River School District. Moreover, his last class of fifth-graders from 2014-2015 are now freshmen. For years, IRHS only had one music teacher who managed the entire band and chorus. Now, Chantalle Ashford leads the chorus (and also several English classes). So Mohler is fortunate to focus entirely on band; music theory and music appreciation classes; and the small music ensembles. Music has a wonderful way of bringing together students from all walks of life, he said. Mohler said he believes that anyone can play an instrument. Sometimes it’s just a matter of finding the right one. Teaching seems a natural fit for Mohler, who always like helping and cooperating with people. His parents were teachers, and he grew up playing music. Mohler had considered a career in landscape architecture, which he jokes is just a different medium for creating art. He chose the musical route instead. Originally hailing from Kutztown, Pa., he graduated from West Chester University’s well-known music education program. After college, he started teaching in Philadelphia in 2009, then came to Delaware in 2010. “This is a friendly area,” he said. He’s also done some gigging on the horn and bass. In the future, he hopes to write concert music for elementary-school and intro-level bands (as a side job to teaching, of course). Mohler is currently president of the Sussex County Music Educators Association. His free time is full of music and family, with his wife and two small children at home, ages 2.5 years and 2.5 months. This summer, Mohler is also working to complete his master’s degree in band directing. Despite his love for teaching, Mohler admits there are challenges. “I think today a good number of people come to school with baggage. A lot of people didn’t, years ago,” Mohler said. Kids have trouble focusing on school if they’re worried about parents fighting or no dinner on the table that night. But music helps people overcome tough times, even if it’s for one period a day, he said. This weekend, the IRHS band takes their show on the road — about 500 miles away to Cleveland, Ohio. Visiting a different city every year, the students get to perform and workshop a piece with distinguished conductors. Mohler has his fingers crossed that they’ll glimpse a famous musician at the Rock & Roll Hall of Fame on Friday, since the Hall of Fame induction ceremony is the next day. • The IRHS ensembles will back up the Lord Baltimore Elementary School spring concert on May 10 at 6 p.m.
• The IRHS chorus will perform May 15 at 7 p.m.
• The IRHS band will perform May 16 at 7 p.m.
Indian River School District will announce the districtwide Teacher of the Year award later this month. “I never thought I’d be nominated this early and be selected. 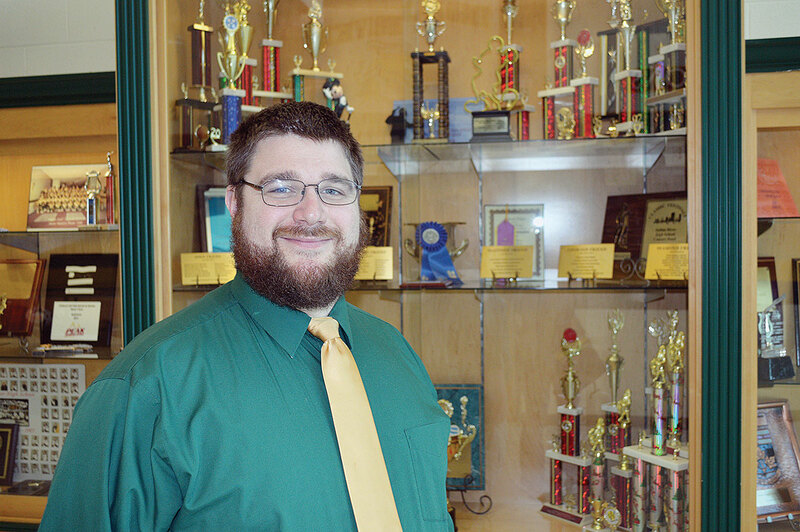 I teach with a lot of very talented people,” said Mohler, who added that he looks forward to representing his school. He also thanked the community for supporting the IRHS band program.